• Periscope: See Above, Live Beyond : How do we live as citizens of heaven in a world ruled by Satan and fallen men? Our third and latest topic in this series has been combined into our new vision for this decade: Freeing the minds of 50 million culturally captive Christians and building them into confident ambassadors for Christ by the year 2020. Similar to our two Redeeming titles, we have developed course material entitled Periscope: See Above, Live Beyond. Unlike our two earlier courses, the Periscope material includes a 7 sermon series with sermon videos and orchestration, a companion 7 week small group series, a published book and a CD of 12 original songs. With this material, we intersect the lives of all believers with a message highlighting the importance of their eternal calling in Christ and how we have traded in this most valuable truth for the lies of conforming to the culture. Since our calling is to equip as many Christians as possible, we have made the Periscope material affordable to all individuals, small groups and churches. To do this, we try to underwrite the significant product development costs through donations to our ministry. This allows us to make the direct cost of reproducing the materials the primary component of our pricing. 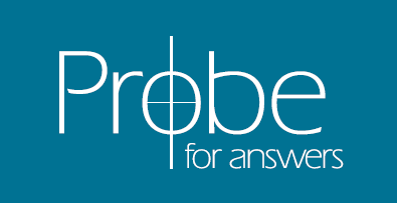 Your support of Probe means that we can equip more people to be effective in their stand for Christ in today’s culture. If you are interested in helping fund the development of future projects like Periscope, select this Donate button.